Dr. Cliff Faver, a 1987 graduate of Colorado State University, is the founder/owner and chief veterinarian of Animal Health Services, founder/owner of Tender Paw Day Spa and recently became the US distributor for Iv San Bernard Italian pet grooming products. With over 10 veterinarians and 60+ support staff, Animal Health Services is a 24 hour Pet Urgent and Critical Care Center as well as a full service veterinary hospital offering services ranging from vaccines to CT Scans. In 2010 Animal Health Services was nominated in the top 10 for “Hospital of the Year” by the American Animal Hospital Association. This full service facility uses state-of-the-art emergency, diagnostic, surgical and alternative medical treatments to provide a full array of choices for companion animal owners for the healing of their pets. In 2006, Dr. Faver founded The Tender Paw Day Spa; a dermatological wellness and grooming center for pets located in Animal Health Services. With assistance from spa director and Certified Pet Aesthetician Michelle Knowles, a marriage of veterinary medicine and natural skin therapies using Iv San Bernard products has healed numerous pets with skin disorders as well as helping able-bodied pets maintain the health and beauty of their skin and coats. After years of witnessing the truly amazing results from the Iv San Bernard products, Dr. Faver became the US distributor for the company in the latter part of 2011. Dr. Faver is also a member of several national committees and associations such as Novartis LEAD Committee, Hill’s Global (International) Veterinary Board, Veterinary Management Group #14, American Animal Hospital Association (AAHA), Arizona Veterinary Medical Association (AzVMA), American Veterinary Medical Association (AVMA) as well as his hospital being a Hill’s Pet Nutrition test site. Suzanne is an experienced groomer and business owner with 35 years of grooming experience and 24 years owning her own business. Her most recent business was Uptown Paw in Huntington Beach, California where she ran a 6,000 ft2 cage free daycare, boarding, and grooming facility. Suzanne is well established in the grooming and showing community. She is a charter member for both the Southern California Professional Groomers Association (past president) and California Professional Pet Groomers Association. She is a Certified Pet Aesthetician with Iv San Bernard, has a Companion Animal Hygienist (CAH) certification from Western World Pet Supply Association, is working on her International Professional Groomers (IPG) certification and is an award winning international competitive groomer. 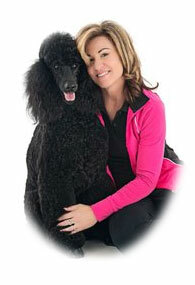 She is an owner, breeder and AKC licensed professional handler as well as a board member for the Burbank Kennel Club. Suzanne trained with Iv San Bernard under Monique van de Ven, founder of the Iv San Bernard School in Tuscany, Italy. She is well versed in therapies, ozone treatments, grooming for show and competition, as well as routine care for the skin. She also has additional knowledge of veterinary medicine from her 16 years work experience in veterinary care. 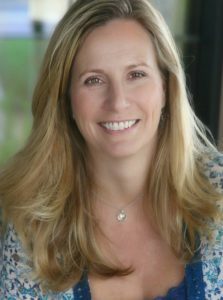 Suzanne consulted for Board Certified Veterinary Dermatologists who were struggling with using only empirical treatments. She is a master at growing and/or restoring a healthy coat for the dogs in the show or competition rings and is well respected by handlers of some of the top show dogs in the country. Her skill as a groomer and her vast knowledge of the Iv San Bernard products make her an amazing consultant from the routine case to the most difficult cases you may have. 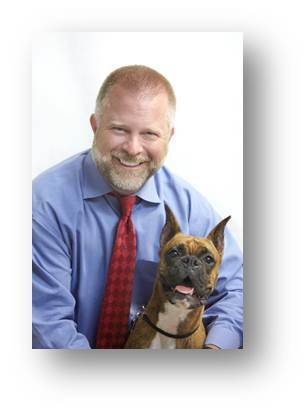 Rob has worked in the veterinary medical industry for over 28 years. 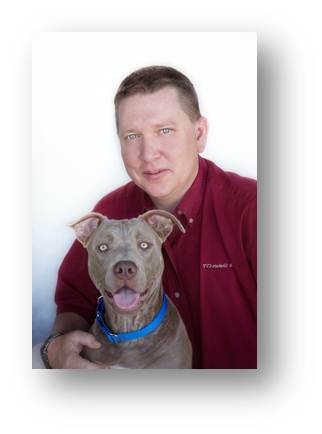 He has worked as a veterinary technician in several private practices in the Arizona valley. Rob’s technical expertise varies from practical application to professional having worked with vet neurological centers operating a CT scanner and assisting with various neurological work-ups. During his technical years he obtained his CVT certificate. (Certified Veterinary Technician) Rob made the transition from technician to practice manager over the past 12 years. Over his career his management skills have been recognized and shared through his speaking engagments at various veterinary management seminars, groups, Arizona Medical Association meetings and recently a speaker for meetings for Hills Pet Nutrition and Merial webinar broadcasts. Rob joined the Animal Health Services team in March 2006, bringing with him professionalism, excellent customer service, and great management techniques. He assisted in the formation and management of Tender Paw Day Spa, a therapeutic pet skin and wellness center at Animal Health Services. He also assists in training First Responders and firefighters in pet emergency and first aid. In 2011 he was invited to become a member of the Iv San Bernard USA team to lend his inventory management skills and outstanding public relations practices. Rob and his wife live in Northwest Phoenix and have raised 6 children between the two of them. As a family they enjoy camping, fishing, and exploring the great outdoors. Jennifer began working with Iv San Bernard in October of 2016. She has over 25 years of customer service experience as well as 10 years of product and project management experience handling national and multi-national customer accounts. Jennifer holds a Bachelor of Science degree from the University of Minnesota and moved to Cave Creek, Arizona in 2011 to thaw out. Jennifer has always been passionate about the care and well-being of animals and has three large dogs at home, all rescued. After seeing the amazing results of Iv San Bernard’s products, she wanted to be actively involved in spreading the word and helping pets.